Tena Koutou, and welcome to another year. I hope you have all managed to manoeuvre your way through the Christmas festive season to a space where you are beginning to prepare yourselves for the year ahead. Recapping on conversations over the past week with various friends and family, it would seem that this is an unusual time of the year. People are out of their norm and feeling as though they are sitting a little bit in limbo. Individuals are struggling to beat back the tiredness that sits around. It's tiredness, unlike any other, perhaps the body's way of rejuvenating before the year is in full swing again. Individuals are pondering with anticipation about what lies ahead or maybe the grief of what they have left behind in the previous year. It would seem that this is a time for reflecting upon hopes and dreams that are yet to be birthed. It's a time to become reacquainted with those goals you may have set yourself, that have yet to come to fruition. A New Year almost gives us the opportunity to reinvent ourselves. My encouragement to you all is to maybe just pick up one of those goals or ideas that you had at the beginning of last year that you didn't manage to get around to and run with it, during 2013. If you are looking at making some changes within your Whanau, we are here to support with various parenting programmes and counselling. 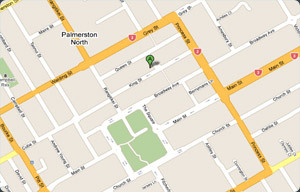 You can call in and see us in Community House, 77-85 King Street or contact us on 355 1655.